Albert Pujols has played 18 seasons in the Majors taking the field for the St. Louis Cardinals (2001-11) and the Anaheim Angels (2012-Present). Certainly regarded as one of the games premier players Pujols has already amassed 633 Home runs and 3,082 hits. 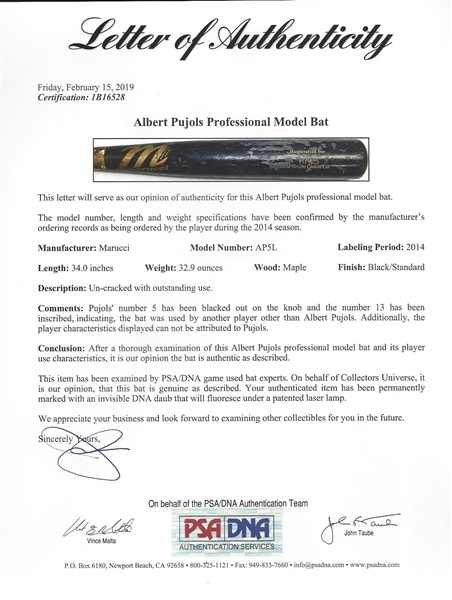 Pujols gifted this bat to Kansas City Royals star catcher Salvador Perez for use during the 2014 season. 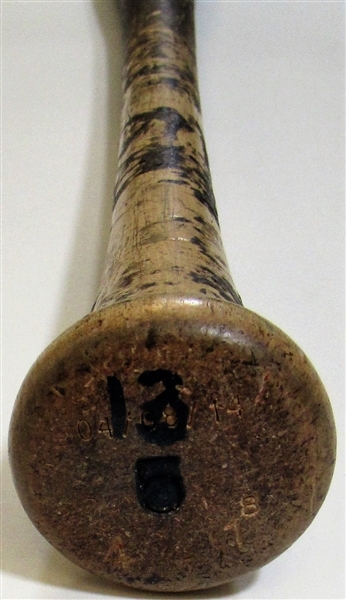 The bat shows outstanding use and the knob has Pujol's player number 5 (blacked out) and Perez'z player number 13. 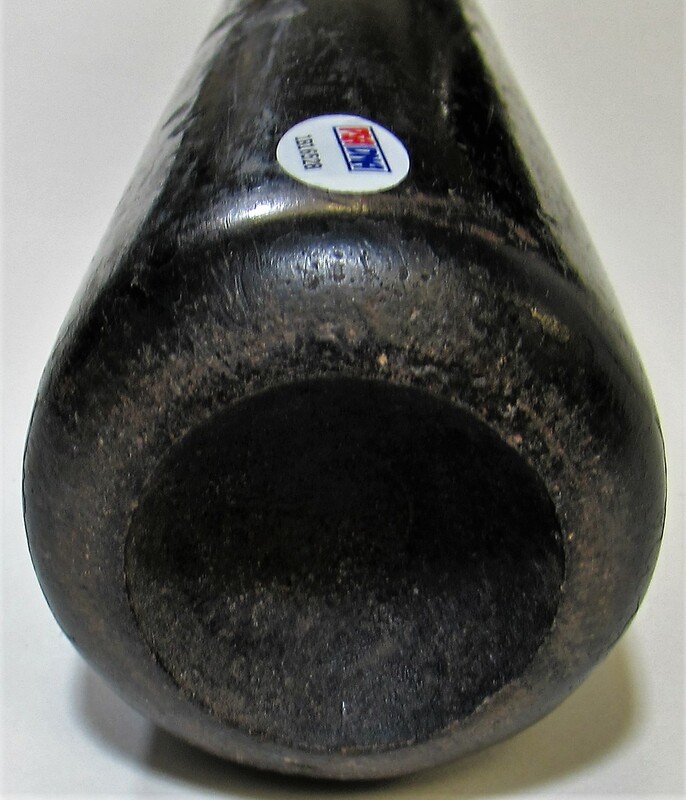 Fantastic game used dual player bat from these 2 marquee players!!! PSA authentication accompanies this lot.